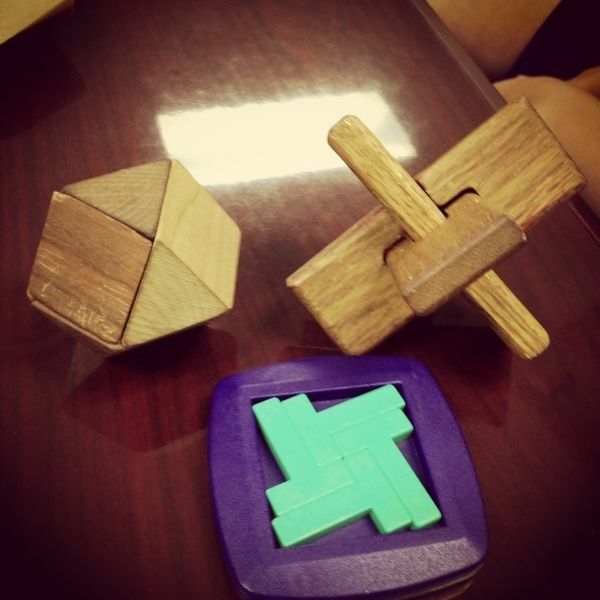 These puzzles were handed out during our afternoon meeting with the principal to discuss our upcoming professional development sessions on Monday. I wish I could take credit for completing them, but that credit goes to our principal's daughter (high school senior) who happened to be in the building working on some college admission items and sat in on our meeting. She was able to do each puzzle effortlessly, which made it all the worse when I was unable to complete them!